The Construction department as a whole is renowned for providing an outstanding level of service for their clients nationwide, which includes developers, funders, consultants, and UK and European based contractors and sub-contractors. They have expanded significantly over the last few years, with over 15 Fee Earners, Solicitors, and Partners in the team at the moment. Your new role will see you working closely with the senior Team Leaders and Partners on an array of contentious and non-contentious construction cases, while also assisting on similar dispute resolution through litigation, arbitration, adjudication, mediation, and negotiation. As part of your caseload management, you will have regular client contact and be involved in developing relationships, you will also review and report on all forms of construction and engineering contracts, as well as negotiating building contracts and due diligence checks on the same. It is essential that you have previous experience dealing with construction and engineering cases, or have assisted on the same. You will ideally have 2+ years' experience. There exists real opportunities to progress longer term within the construction team and the firm as a whole. They have an active social scene and you will be working in a close knit and friendly office environment. The firm is offering a competitive salary which will be in line with your previous experience. 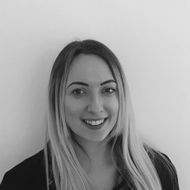 If you are an experienced Construction Paralegal in Liverpool looking for a fresh challenge with an award winning team, then please apply today or contact Izzie Gilbert. 0161 207 2000.